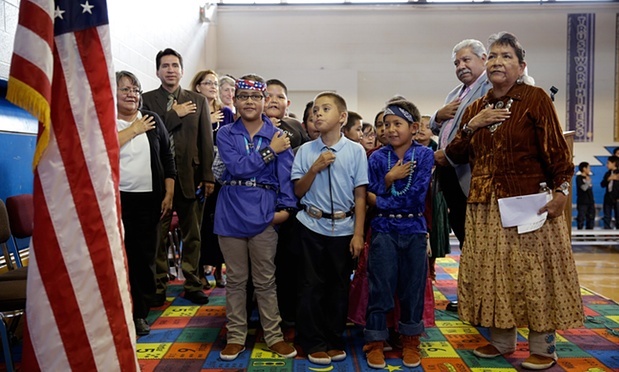 The Obama administration is making it easier for some tribes to obtain federal recognition, addressing a longstanding grievance held by many Native Americans. The new regulation updates a 37-year-old process that has been roundly criticised because of the many years and mounds of paperwork that typically went into each application. The effort to address those criticisms generated a backlash of its own, with some lawmakers and existing tribes with casino operations complaining that the administration’s original proposals set the bar too low. The Obama administration made changes in the final rule that answers many of those concerns, but not all. Kevin Washburn, an assistant secretary at the Department of Interior, planned to announce the regulation on Monday during a National Congress of American Indians conference in Minnesota. Federal acknowledgment means a tribe is treated as a nation within a nation, able to set up its own government, legal system, taxes and fees. Recognition also brings critical federal investments in medical care, housing and education. It also can lead to tribes opening casinos through a separate approval process. Washburn said the regulatory changes will greatly enhance transparency by letting the public see most of the documents submitted by the petitioning groups via the internet. The changes will also give tribal groups facing rejection the chance to take their case to an administrative judge before a final determination is made. The interior secretary, Sally Jewell, said the new regulations for tribal recognition “make good on a promise to our First Americans to clarify, expedite and honour a meaningful process for federal acknowledgment”. The most scrutinised changes will be the new criteria that must be met for recognition to occur. Groups seeking recognition will no longer have to show that outside parties identified them as a Native American entity dating back to 1900. Washburn said the requirement clashed with the reality of the times. Many Native Americans were attempting to hide their identity from outside sources out of fear they would be discriminated against, or worse. “They would have been crazy not to have,” said Washburn, a member of the Chickasaw Nation in Oklahoma. Some federally recognised tribes had urged that the requirement be kept. “We cannot understand why a legitimate petitioner could not produce external documentation of its existence,” Robert Martin, chairman of the Morongo Band of Mission Indians, testified during a recent congressional hearing. Petitioners also had to show that their tribe has existed as a community and exercised political control over its members since first contact with European settlers, or as early as 1789. The proposed regulation had changed the threshold to 1934. After much pushback, the final rule sets the date at 1900 – more than a century of documentation that includes “a time when it was dangerous to be Indian”, Washburn said. Under the current system, which began in 1978, the government has recognised 17 tribes and rejected the petitions of 34 other groups. The Obama administration had envisioned giving groups who were denied federal recognition another opportunity to re-petition the government. That provision wasn’t included in the final rule. “It would be unfair to allow people to come in and re-petition when there are people in line who haven’t had their first chance to make their case,” Washburn said. 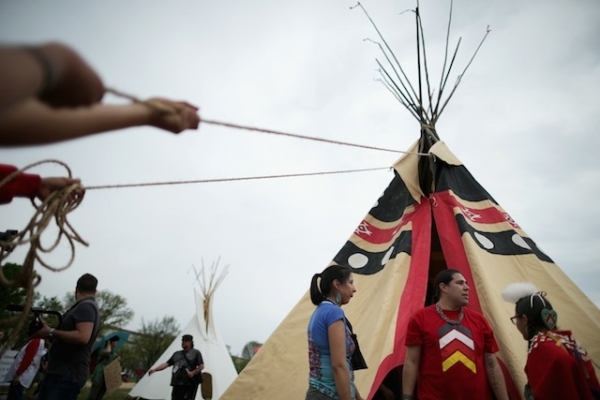 Lawmakers in Connecticut had been particularly critical of allowing previously denied groups the chance to re-petition, and the change deals a blow to four Native American groups whose petitions were rejected in 2005. Congress also has the authority to recognise tribes. The Obama administration is moving ahead with the regulation even as lawmakers had expressly warned it to pull it back. A spending bill in the House contains language banning the Interior Department from using federal money to implement or enforce the regulatory change. In all, there are 566 federal recognised tribes. Hundreds more want to join their ranks. Arlinda Locklear, an attorney in Washington who has worked on behalf of about a dozen tribes seeking federal acknowledgment, called the current tribal recognition process heartbreaking, because it is so demanding and takes so long, often more than a decade. “You have a whole generation of people who just die while they’re waiting for it to happen,” Locklear said. Responses to "US makes it easier for Native American tribes to obtain federal recognition "